Ali’i No‘eau Loa Sir Milton Anderson and La‘au Ali‘i Nui Sir Kanani Baker were guest speakers at Hui Pū tonight at Bishop Museum. 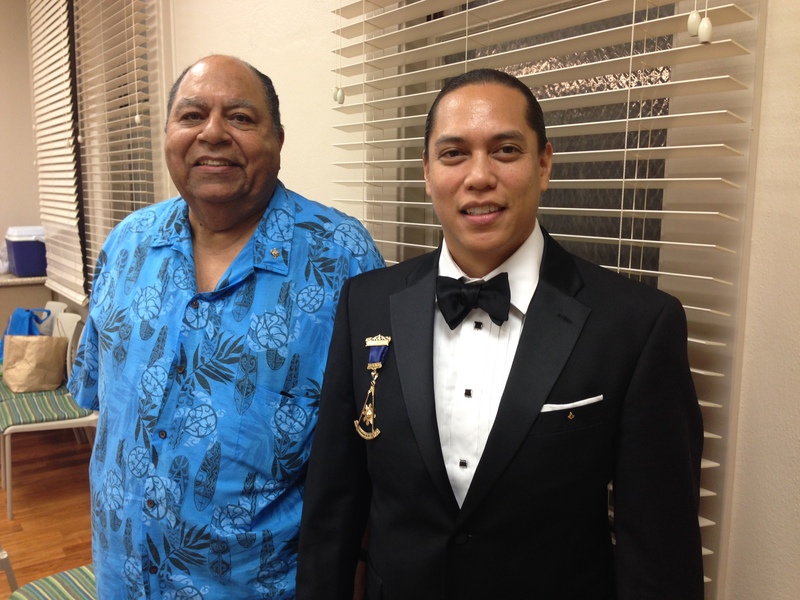 Both are members of the Royal Order of Kamehameha I and of the Masons. They spoke about the connections between the two organizations and informed us about the activities of Free Masons.